It’s been ages since I last posted ): That’s because school started three weeks ago and there just wasn’t enough time for me to play around in the kitchen. I wasn’t in the mood to spend hours in the kitchen either, thinking about the tons of knowledge I have to cram into my brain everyday. Anyway, it got really really boring during one lecture and I started surfing the net for recipes to try out. 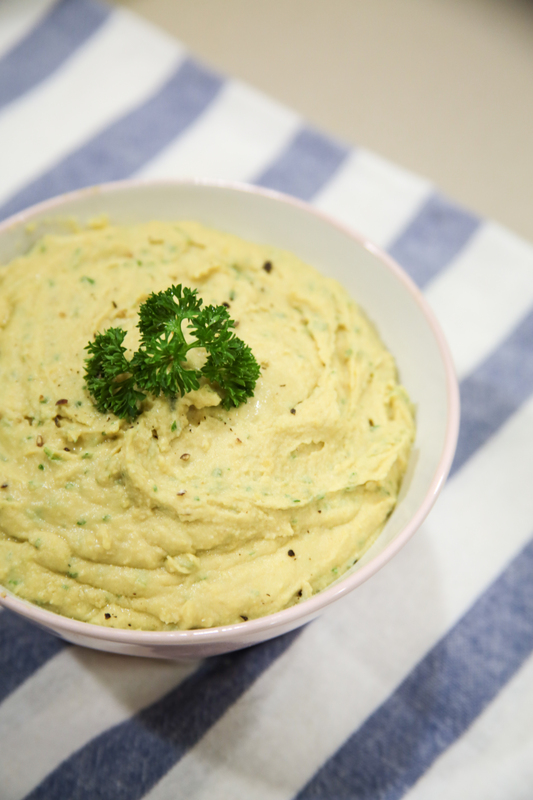 I’ve been following the little loaf’s instagram for quite a while and chanced upon a hummus recipe (coincidentally my friend loves hummus and bugged me to make hummus for school). This recipe is quite different from the ones I tried before. 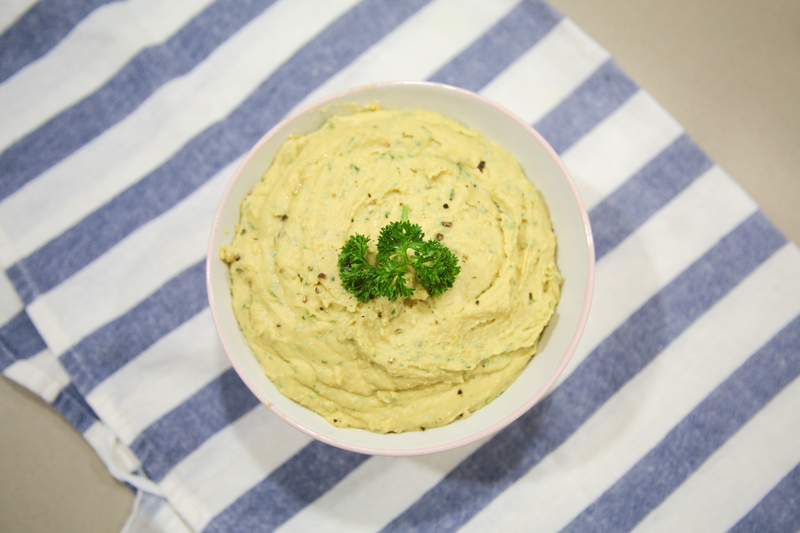 It adds parsley and basil, a nice twist to the traditional chickpeas and tahini only recipe. 1. 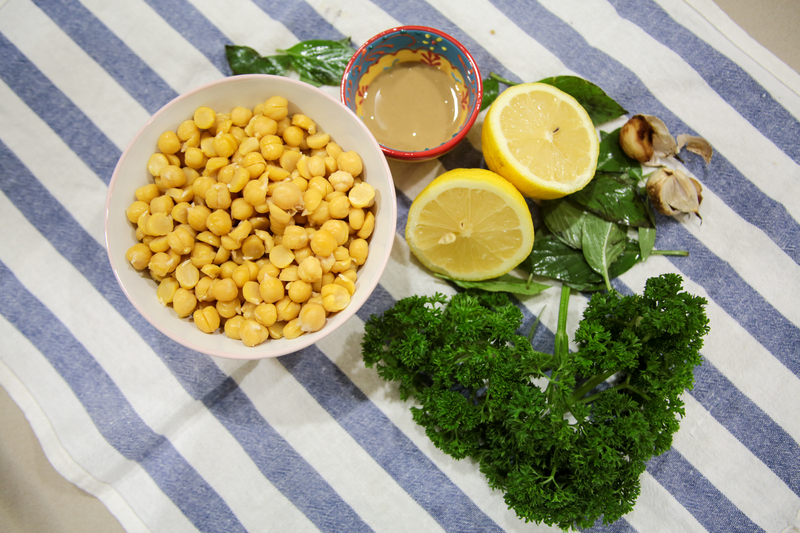 Blend chickpeas, tahini, roasted garlic and lemon juice together. 2. Add boiled water and olive oil until desired consistency is reached. 3. Blend in parsley and basil leaves.